This week's Mission McCall covers pattern numbers 9061-9070. A super big thank you for everyone who's sent images so far--it's really fun trying to fill all the gaps and finding the missing images. For those of you new to the series, my goal is to update the Vintage Pattern Wiki so that it's complete for all McCall patterns from mid 1936-1940. 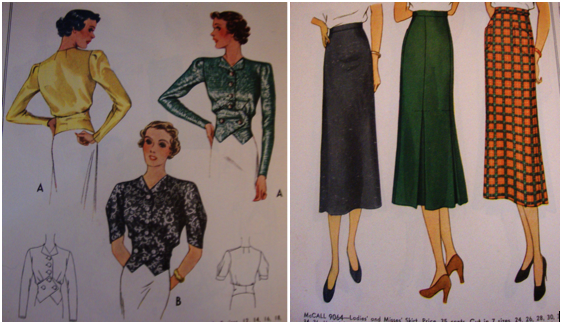 If you have any source images for any of these patterns, email them to me and I'll add them to the Vintage Pattern Wiki! I'll be uploading them in big batches...so stay tuned! 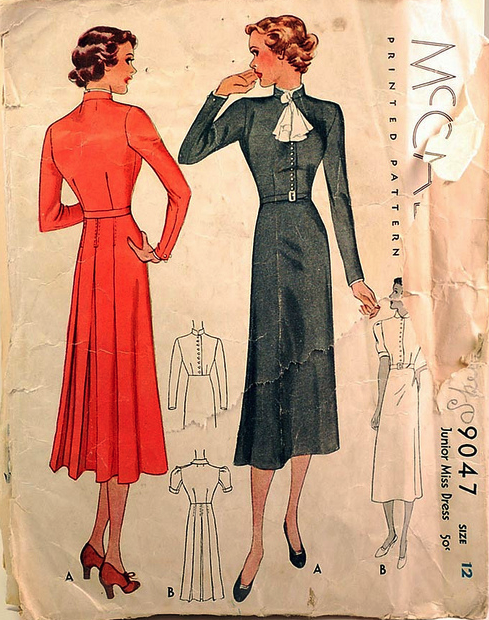 Love the neat pleating detail on the yoke and pockets! 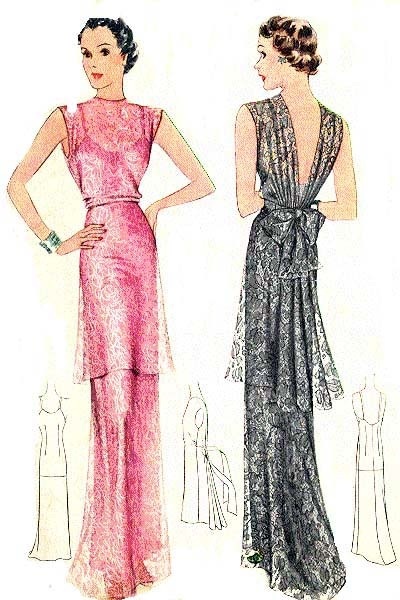 9063 is actually available as a repro pattern from EvaDress. I love the unique details of this blouse. It would look fantastic with the skirt as well! I like that you can change up the yoke or leave it off completely! Such a cute girl's dress. It looks like it has two collars? I love it!!! I love that it includes a pattern for the hat as well!! Missing images so far: 502, 503, 505, 507, 508, 510, 9000, 9001, 9002, 9003, 9006, 9007, 9008, 9009, 9011, 9012, 9013, 9014, 9017, 9030, 9040, 9041, 9048, 9049, 9050 and 9062. 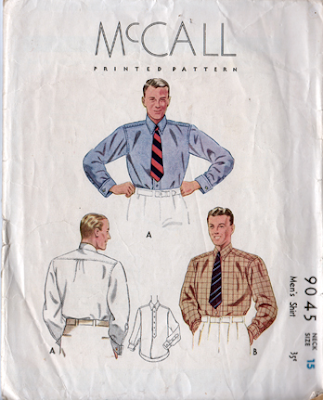 If you want to contribute to the Mission McCall--just email me the images or pattern covers and I'll update them in the Vintage Pattern Wiki. 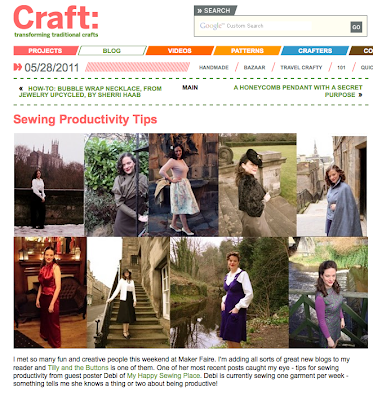 myhappysewingplace[at]googlemail[dot]com. A super big thank you for all your warm wishes on our anniversary post and for the lovely comments on the guest post I did over at Tilly's blog. You really made my day!!! This week's Mission McCall covers pattern numbers 9051-9060 and I've got images for all of them except one!!! 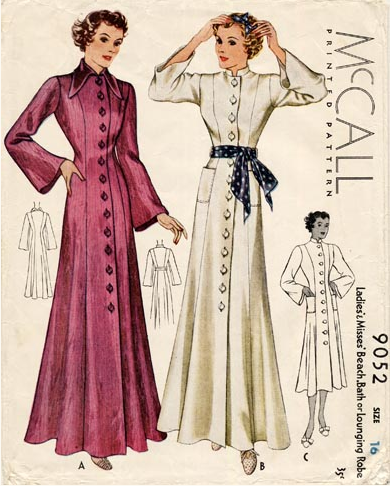 For those of you new to the series, my goal is to update the Vintage Pattern Wiki so that it's complete for all McCall patterns from mid 1936-1940. 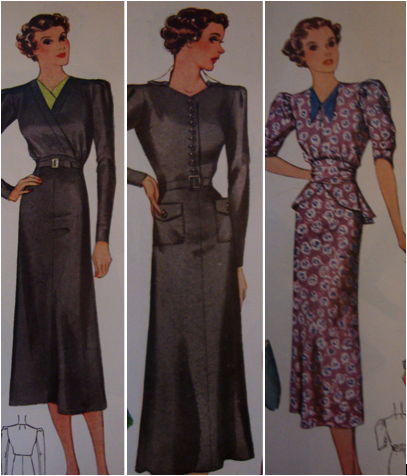 If you have any source images for any of these patterns, email them to me and I'll add them to the Vintage Pattern Wiki! I'll be uploading them in big batches...so stay tuned! 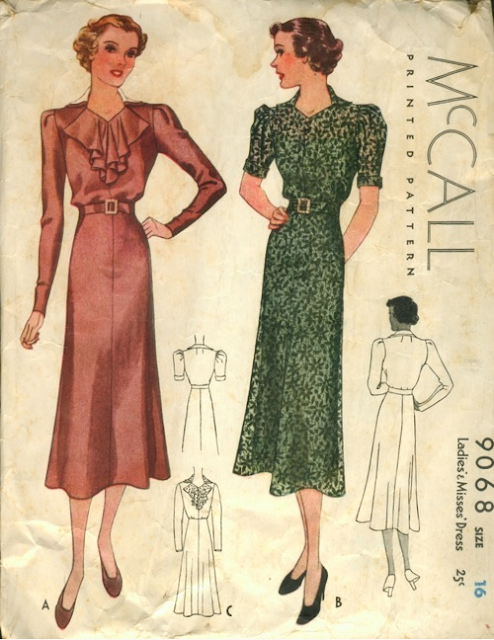 Up first is McCall 9051, an adorable little girl's dress. 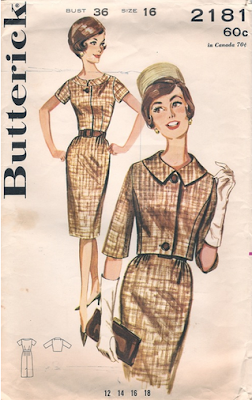 I found the pattern image on an amazing flickr set full of patterns. I am swooning over this housecoat! How delicious would this be in the winter? I love these blouses as well...very classic cuts! I must say, I am loving the skirt on 9057!! These are all really similiar! But is that a bust dart in 9058 just below the pocket??? I haven't seen many of those so far! 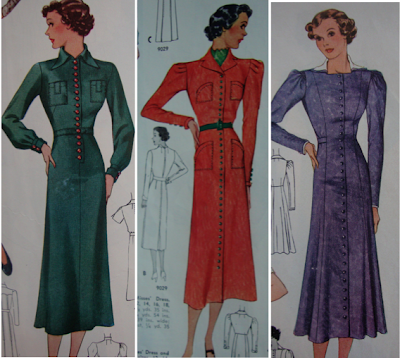 Ok, I'm dying to know which is your favourite...Are you more a glamourous housecoat kind of gal, the safari separates, the puffed sleeve gown kind of gal, loads of buttons or the classic shirt? Missing images so far: 502, 503, 505, 507, 508, 510, 9000, 9001, 9002, 9003, 9006, 9007, 9008, 9009, 9011, 9012, 9013, 9014, 9017, 9030, 9040, 9041, 9047, 9048, 9049, 9050 and 9054. 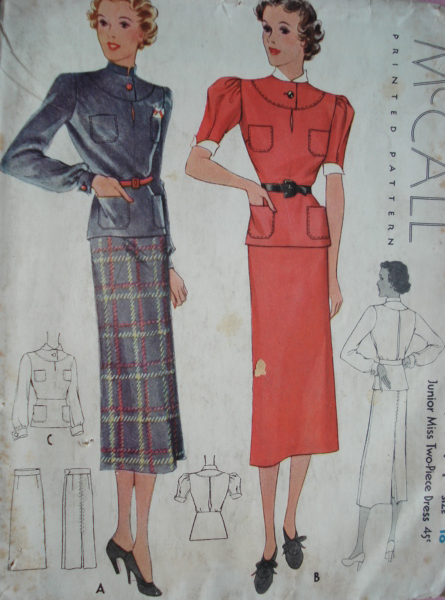 If you want to contribute to the Mission McCall--just email me the images or pattern covers and I'll update them in the Vintage Pattern Wiki. myhappysewingplace[at]googlemail[dot]com. I'm super excited to have been asked by Tilly from Tilly and the Buttons to do a guest post today on my thoughts on sewing productivity! 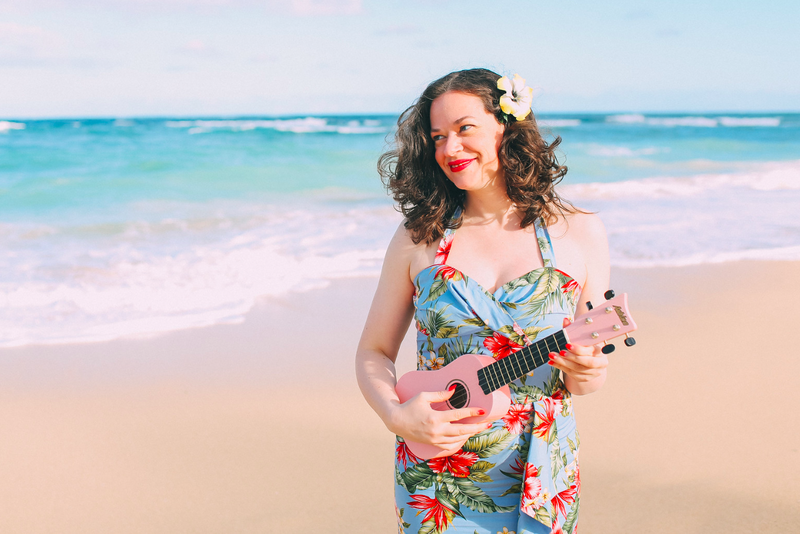 Check it out here...I would love to hear your thoughts!! 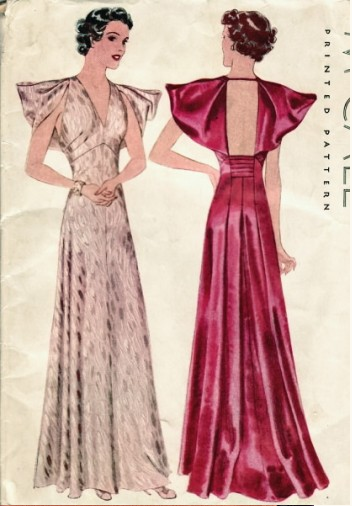 It's from 1945 and I am LOVING the sequins! 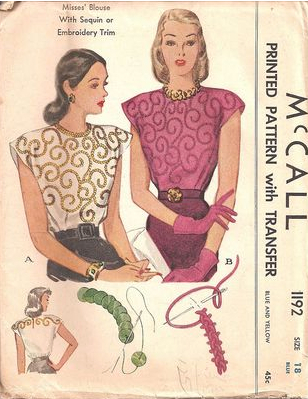 This will be a first--but I'm super excited to sew up this blouse!!! I'll keep you posted on the progress! We met one night in New York City, exactly eight years ago today, while we were both out with friends. The moment we saw each other across the crowded room, something very singular occurred, we were drawn together, gazing across the room at each other for a long time until we finally spoke. We ended up in an all-night cafe (it was French Roast for those of you in NYC), drinking tea; talking and listening in turn, captivated and enchanted. We walked a block together in the pre-dawn misty rain, reluctantly parting ways. In the years since, we've grown together; learning about each other; discovering our dreams and making them real. We've comforted one another through disappointments and difficulties, supported each other in our endeavors, and rejoiced in each other's triumphs. Five years ago we got married--well, actually we've had several weddings (and we have a couple of anniversaries). Our first was a surprise wedding for our friends in Fort Tryon Park, NYC (five years exactly to the date that we met). We hosted it as a 'going away' and David's '40th birthday' party (so we knew folks would definitely show up!). They had no idea!!! Our journey has now taken us to Scotland, a place we visited together several years ago. Our time with each other in a new place far from home has fortified our love for one another and our belief in each other's dreams. You may remember that I used a very loose weave tweed fabric from Croft Mill. I ended up following the advice of both Pin Queen to underline the dress and Steph from 3 Hours Past the Edge of the World to take a scrap of fabric and try out different stitches, interfacings, etc. I'm quite happy with how it came out! 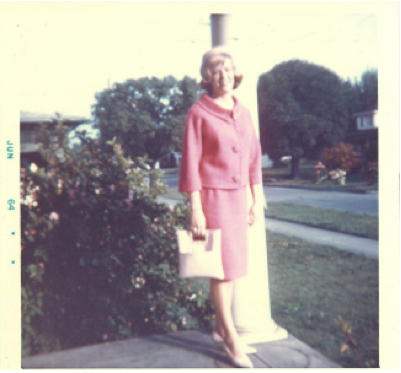 The dress has a side zipper and one button at the top followed by several concealed snaps. 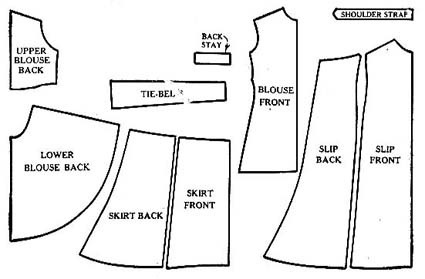 With the fit of the dress, there is no way you could get it on without the opening in the front! I love it! I'm really glad I stuck with this fabric as it is so soft and comfortable to wear! With the jacket I think this will be a staple outfit. What about you? 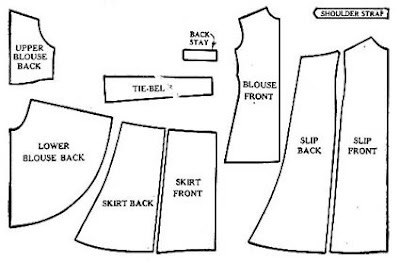 Have you ever made a wiggle dress? What about a 50's/60's Jackie-O type suit? 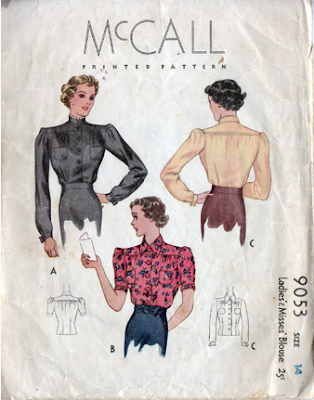 This week's Mission McCall covers pattern numbers 9041-9050. 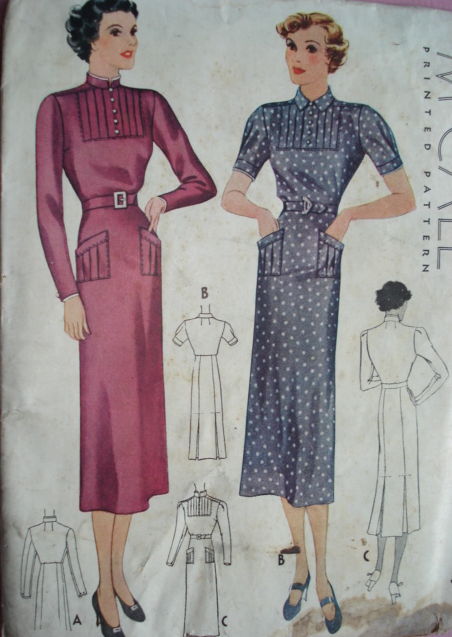 For those of you new to the series, my goal is to update the Vintage Pattern Wiki so that it's complete for all McCall patterns from mid 1936-1940. 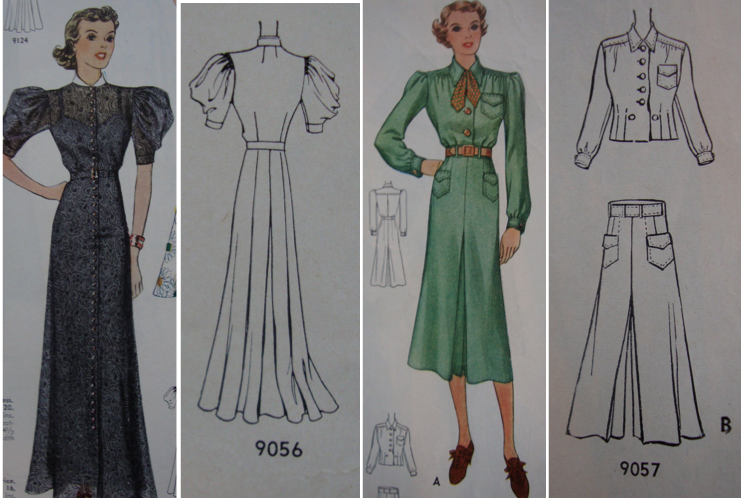 If you have any source images for any of these patterns, email them to me and I'll add them to the Vintage Pattern Wiki! A big thank you to Amanda who found McCall 9036 and 9038 last week (9036 ended up coming home with me). 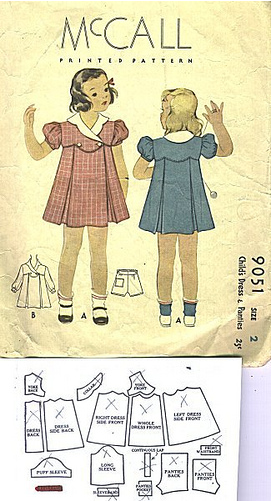 I also ended up finding McCall 9018 (a children's pattern) as well. 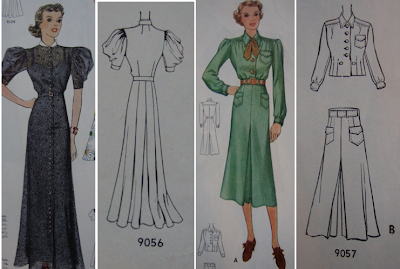 I'll be adding the lot to vintage pattern wiki next week! Though you would probably need extra assistance getting this dress on!! That means we are getting close to 1937!! 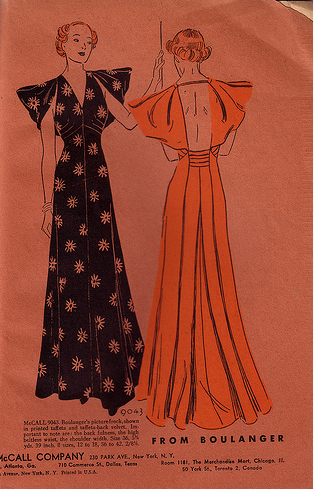 And it is likely that some of the missing images from this week may be in the December 1936 McCall magazine! Quite a variety this week, eh? Which is your favourite? Missing images so far: 502, 503, 505, 507, 508, 510, 9000, 9001, 9002, 9003, 9006, 9007, 9008, 9009, 9011, 9012, 9013, 9014, 9017, 9030, 9040, 9041, 9047, 9048, 9049 and 9050.. If you want to contribute to the Mission McCall--just email me the images or pattern covers and I'll update them in the Vintage Pattern Wiki. 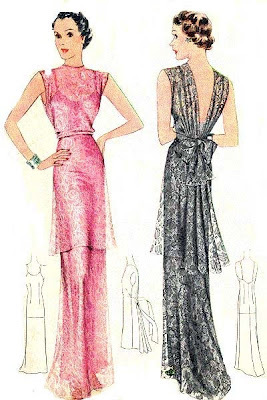 myhappysewingplace[at]googlemail[dot]com. I took the 6am train from Edinburgh and got into London just before 11am. 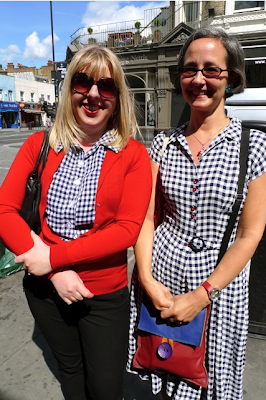 At the train station, I met Charlotte and Diane from the Sew Weekly Sewing Circle. We headed over the V&A where together we were a group of 14 fabulous sewists plus one mum! Not only that but we had each wore a colour-coordinated theme of red, white and blue to celebrate this next week's theme of Rule, Britannia! at the Sew Weekly. The pigeon wanted in on the fun. But as the other Charlotte mentioned, she didn't follow the colour scheme ;) First a big thank you to Charlotte from the Sew Weekly Sewing Circle for helping to coordinate the Sew Weekly meet-up!!! I had such a fabulous time! Well, it gets better because when we were originally planning a meet up, Karen from Did you Make That was also planning a meet-up and did a post suggesting the SAME day! How fabulous is that??? 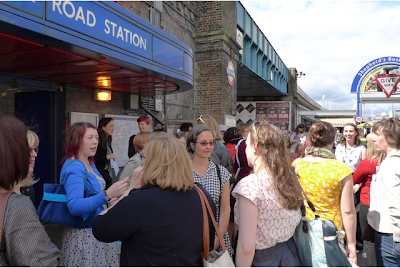 So the second part of the day involved meeting-up with a load of other sewing bloggers for the Goldhawk Road Fabric Fandango --10-12 fabric stores, 38 + sewists, 1 bar....who could ask for more? Tilly from Tilly and the Buttons took the photo above. Look at all of us chatting away!! Thanks to Sofia from the Needle Diaries for taking the photo above and the ones below! 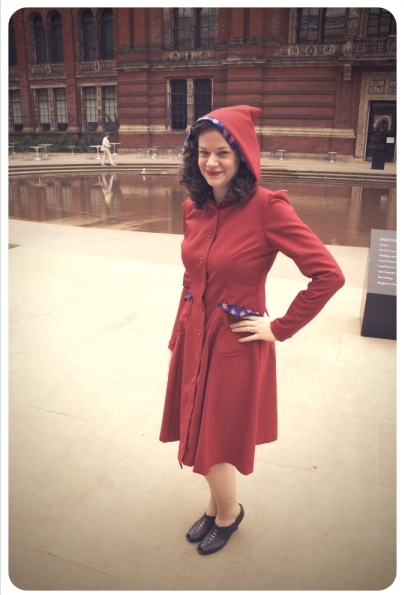 I literally made the dress on Friday (from cutting out to sewing in the sleeves at 4am on Saturday) and was finishing sewing it up on the train (hemming, tacking facing and sewing buttons). I actually, ahem, didn't go to sleep at all. All the sewing madness and I was so excited for the meet-up! 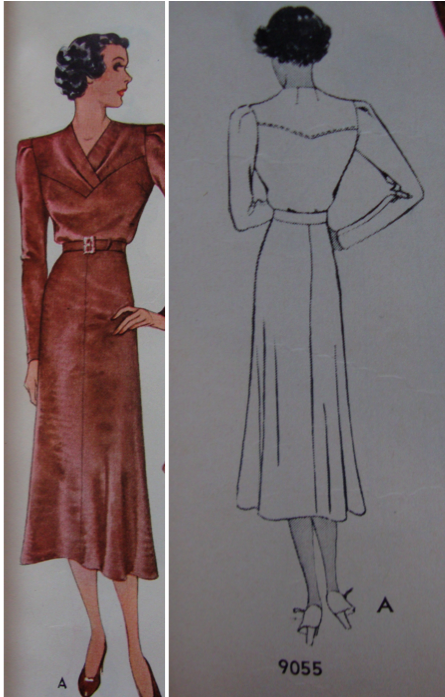 :) I'll do another post on the details of the dress--but it's from a 1940 McCall pattern AND it has a hood lined in union jack material! Another one of Tilly's fabulous photos with Jane from Handmade Jane and Winnie from Scruffy Badger. The other fabulous part was running into everyone in the fabric stores! Seriously, I wish all my fabric shopping was with my 40 new best friends! 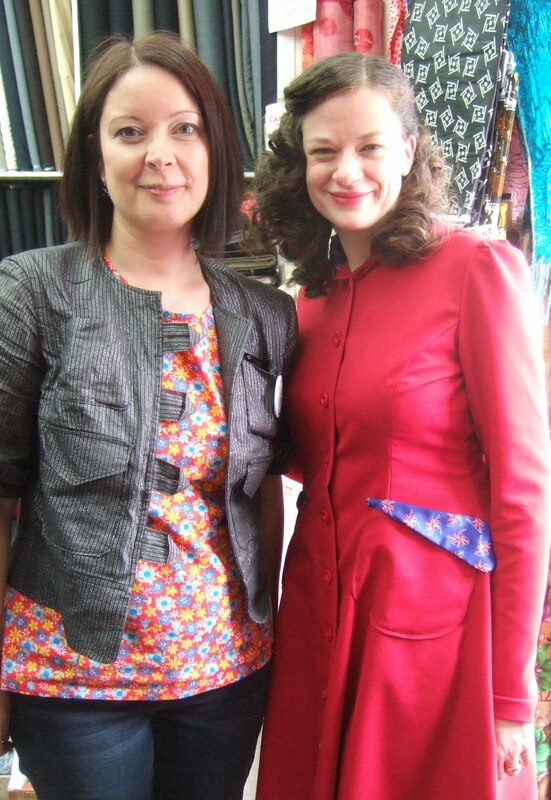 Me and Karen from Did you Make That in one of the jam-packed fabric shops! After some fabulous shopping and pattern swapping, I then got on the 6pm train back to Edinburgh and arrived just after 11pm. Phew! Talk about whirlwind. I seriously think we need to plan a weekend extravaganza sometime soon! Next time I'll definitely spending the night in London! My loot from the day: 3.5 metres of the loveliest tawna lawn fabric, several 1950's patterns, one pattern from the 1970's and one from the 80's, plus some lovely trim from Judy that I won in the swap. 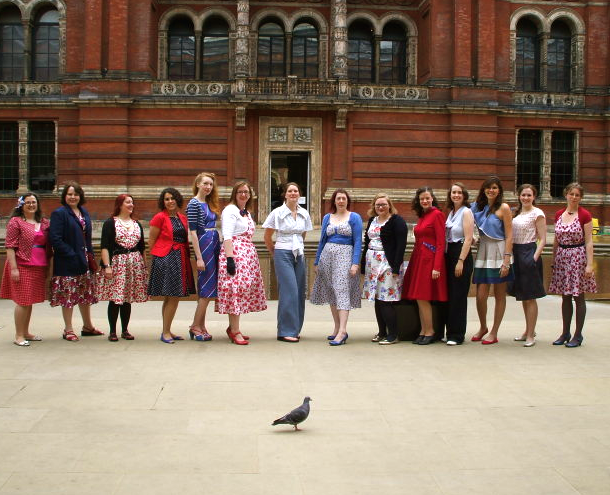 Karen put together a list of all the sewists in the fabric fandango meet-up and I've added all the Sew Weekly ladies for this amazing list of folks that were all there! This was the week of meet-ups as I also had the chance to meet up with Elise who blogs at Chez Napier on Monday in Edinburgh! 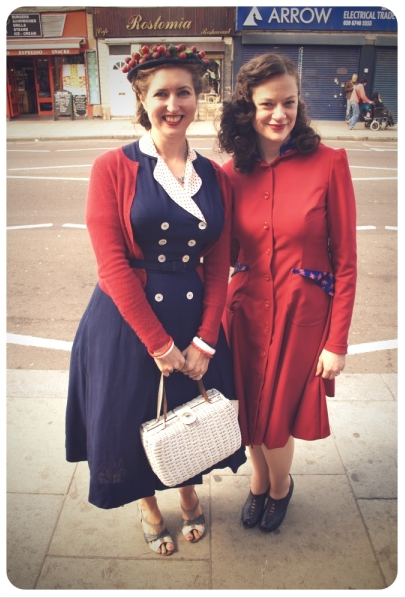 That was such a fun time as well....fabric shopping, charity shops and tea! Elise, I can't wait to following the fruits of your labour over the next year! Ladies...this was too much fun! I'm already thinking towards the next fabulous meet-up! I hope it's soon!! !